Did you know that the highest mountain in Kurdistan-Iraq is Mt Cheekha Dar, which stands 3,611 meters above sea-level? The Austrian Großglockner has a similar height with 3,798 meters and marks the highest point in Austria. Mountains are by far not the only similarity between the Region and the Republic – during the next weeks and months we want to introduce you to interesting facts and curiosities, cultural and exciting details to show that Kurdistan-Iraq and Austria are actually not that different from each other. To this end we will regularly put new information on this site. 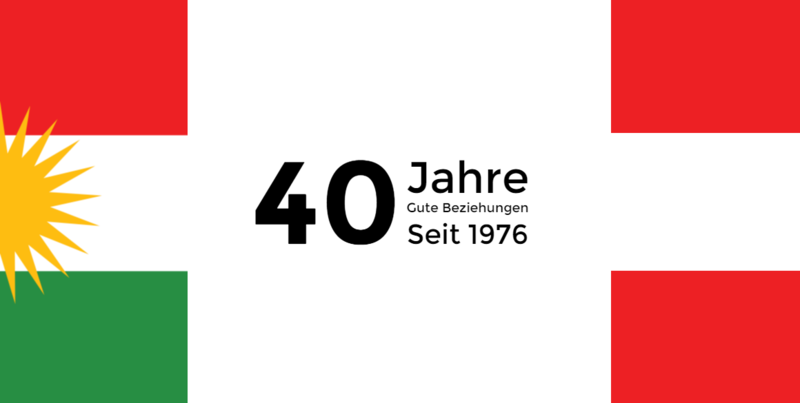 The occasion for this campaign is the 40th anniversary of the arrival of the first 100 Iraqi Kurds in Austria: As a response to the 1975 refugee crisis and under the initiative of the former Austrian President Dr. Heinz Fischer, then a member of the Austrian parliament, the Austrian government agreed to grant asylum to 100 Kurds in 1976. Since then, the relations between the Alpine Republic and the Kurdish Region have been based on gratuity, friendship and cooperation. September is Dirndl-time! When it comes to traditional clothing, Austria and Kurdistan are much more similar than one would think. 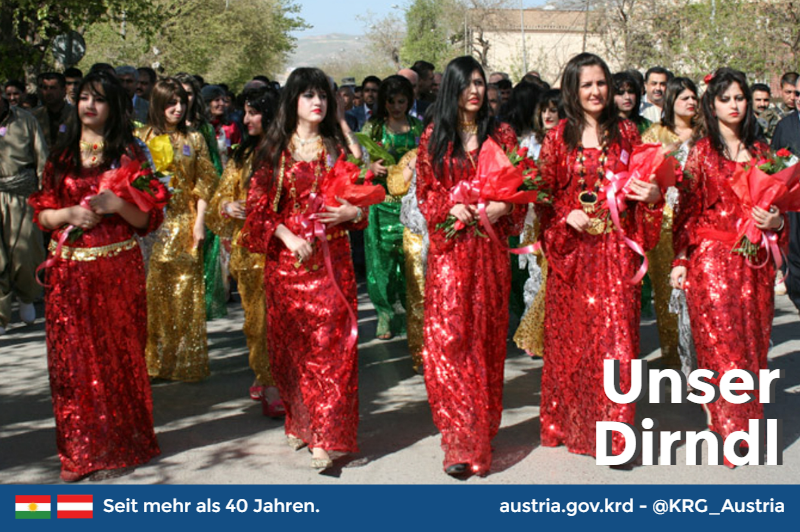 While women in Austria put on their traditional clothing for festivities layer by layer, Kurdish women too put on a wide pair of trousers (awal-krass), over the trousers a sheer petticoat (zher-krass), a dress (krass) and finally a short bolero (helak) to get ready for celebrations. By choosing a typical pattern, style and colour, women proudly represent the region they are from – in Austria as well as in Kurdistan. On September 5 2016 school started anew in Vienna, Lower Austria and Burgenland. About 6,000 schools will re-open their gates in the coming days. But also in Kurdistan the new school year will start for 2,600 schools in the course of September. For many refugee children from Syria and internally displaced from the rest of Iraq, who found safety and shelter in the Kurdistan Region, the school year 20016/17 will be their third away from home. Together with the United Nations the Kurdistan Regional Government (KRG) provides education for these refugee children, to give them a perspective and a chance for the future.